Creating exemplary and relevant content seems to be the talk of the marketing town recently. But how effective is great content if it's not seen by your target audience? Top notch content creation falls flat without a solid distribution plan—we know this. And 79% of B2B marketers believe social media is an effective marketing channel. But while people are spending time on other social channels, they’re investing time on LinkedIn. Furthermore, a whopping 80% of B2B leads come from LinkedIn. In an effort to help you get your content in front of the 400+ million professionals on LinkedIn in the most time effecive and cost-effective manner possible, we're highlighting four tactical oppportunities your company should be investing time in. 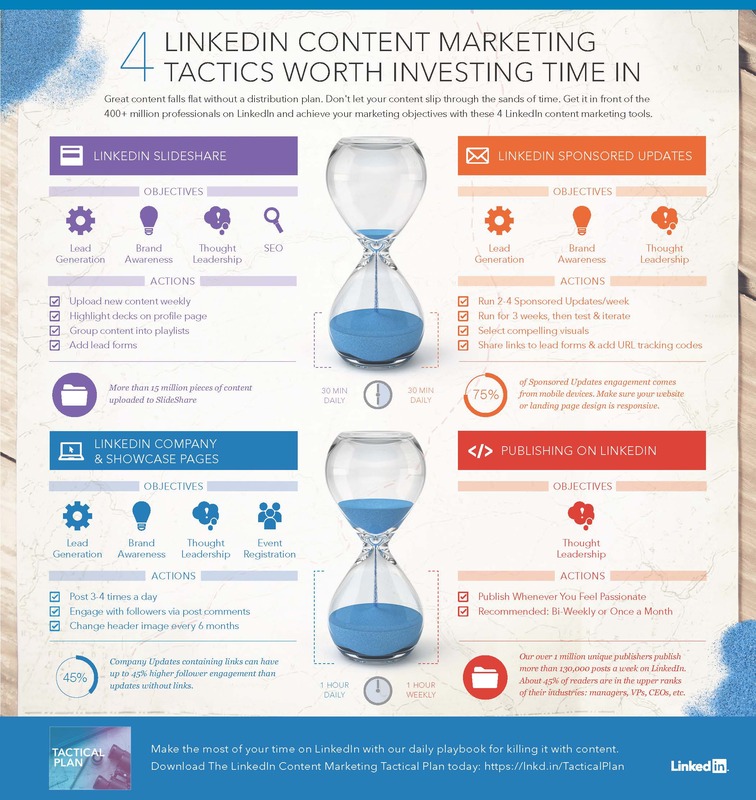 View our infographic, 4 LinkedIn Content Marketing Tactics Worth Investing Time In, to uncover tips for achieving marketing goals with LinkedIn SlideShare, LinkedIn Sponsored Updates, LinkedIn Company & Showcase Pages, and Publishing on LinkedIn. Plus, you'll learn objectives, action items and daily time investment needed to succeed with each of these tools. Dig in! Ready to drive more revenue on LinkedIn? 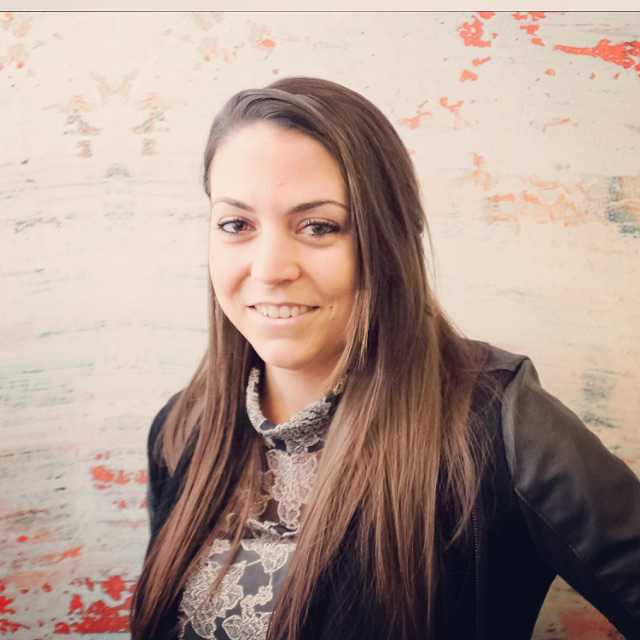 Adapt the LinkedIn Content Marketing Tactical Plan to your business today.